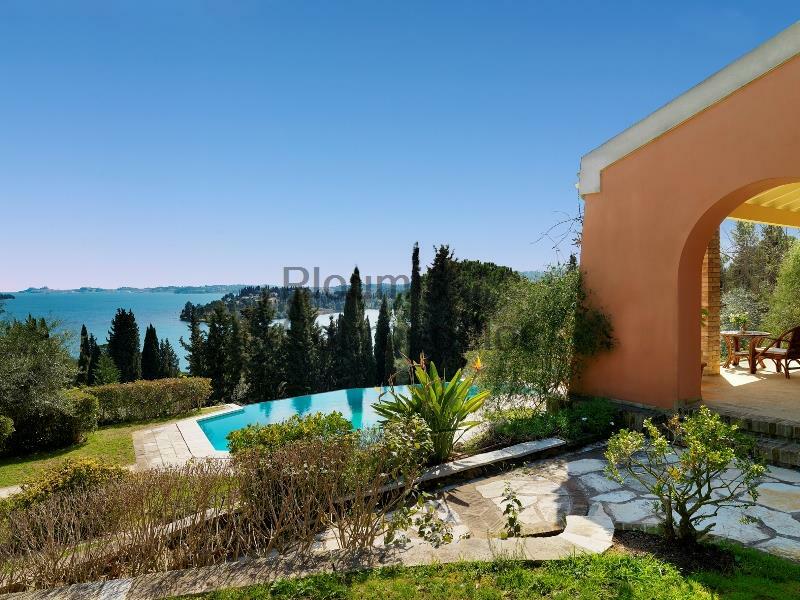 This luxurious villa of 750m² is set in the prestigious enclave of Kommeno, only 10 km from Corfu Town and the international airport. 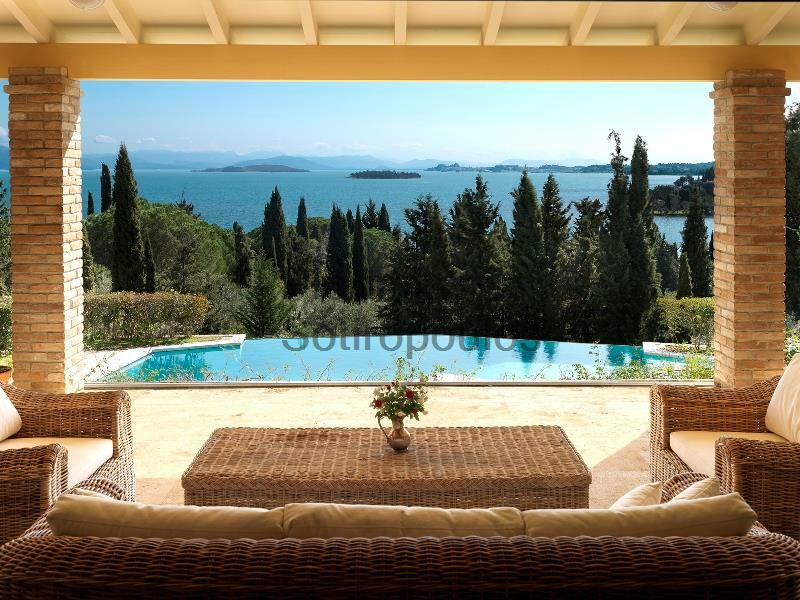 It offers breathtaking panoramic sea views and is very close to the yacht marina at Gouvia. The house is laid out on 3 levels and features spacious entertaining areas, 8 bedrooms, a library-office, three kitchens, and numerous terraces. The grounds of 3.500m² are beautifully landscaped and include a large horizon-edge swimming pool.